Our competitive grants, scholarships and financial aid programs aim to spread the Kanuga spirit, letting individuals in communities across the United States partake of Kanuga’s important ministries. The Patricia Minkler Howell Endowment for Children’s Outreach assists community-based efforts by parishes, dioceses and nonprofits that focus on children’s ministry and emphasize youth serving youth. Individuals may not apply for a Minkler Howell grant, but partnerships involving two or more congregations, dioceses or nonprofits are encouraged. Our grants committee receives and review applications between April 15 and May 15. Recipients are announced annually by May 31. For information on qualifying criteria and how to apply, download the Minkler Howell Grant application and brochure. If you have questions regarding the Minkler Howell Grant, please contact Vice President of Advancement Gary Giniat at 828-692-9136, ext. 2816. 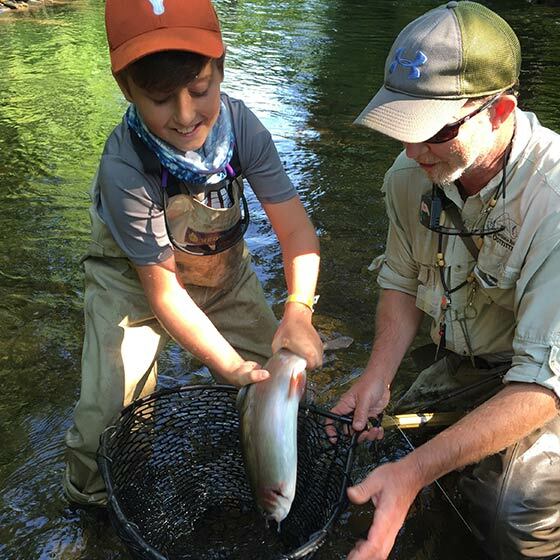 Spend a day learning the skills of fly fishing! This youth scholarship is open to children ages 10 to 18 of attendees at Kanuga’s Renewal Conference (June of each year). Davidson River Outfitters supplies the scholarship winner with the gear and training needed to enjoy a day fly fishing on the river during the conference. The award is in memory of The Rev. Mark Wilson, a long-time Renewal Conference attendee who felt closest to God knee-deep in a river with a fly rod in his hands. 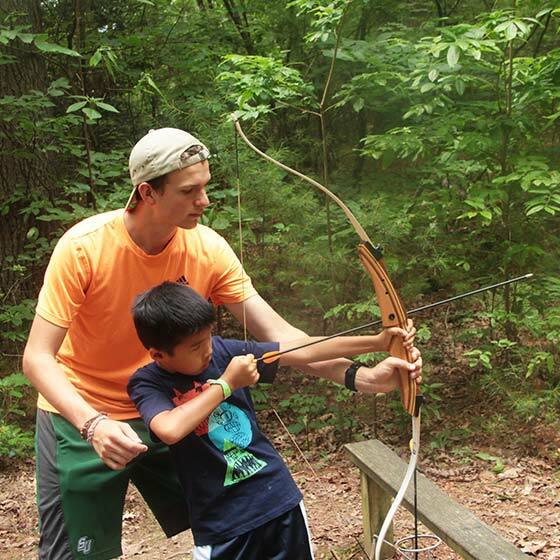 The Kanuga Pathfinder program provides camp, conference and retreat experiences for those who otherwise could not afford to participate. All campers that attend Camp Bob are sponsored completely. For more information, find a sponsor near you, contact Meghan Hull at 828-692-9136, ext. 2839 or meghan.hull@kanuga.org. Please contact MTOS Director Meghan Hull at 828-692-9136, ext. 2839 or meghan.hull@kanuga.org. If you have any questions about Kanuga’s financial aid programs, please contact Vice President of Advancement Gary Giniat at (828)233-2816 or gary.giniat@kanuga.org.